Custom ties are an important marketing strategy and business game plan that will help you progress in your industry. For many reasons custom ties are the way forward when it comes to your next brand strategy and they will help you uncover new opportunities that you never knew existed. 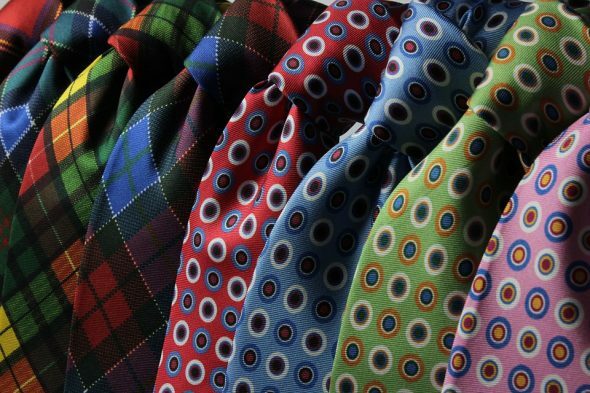 Read on to find out how custom business ties will help you forge ahead in your field. When you create bespoke and personalised ties that match your business, you are instantly showing that you are professionals. Professionals care about the way they are perceived and every detail of the business and this will really shine through if you have your own business ties. If all members of staff wear a tie, your customers will be impressed. If they wear custom ties that represent the business they send across an even better impression. If your staff proudly wear their custom business ties, they will inevitably be more dedicated to the cause. This is the case with uniform in that it brings people together and shows that they are all part of the same team. When everyone is on the same team, your business will see the benefits. As well as promoting professionality and bringing your staff together, custom ties also help build and solidify your brand. They do this by spreading the word about your professionality and promoting you as a successful and key business within your industry.